Pharma Franchise for Cold Medicine – With the years of experinced in Pharmaceutical sector Medlock Healthcare has emerged as one of the most proufound names. The Company has more than 500 product range to offer to more than 250 associates. With state-of-art WHO and GMP certified facilities we aimed to provide high quality medicine range to patients all across the country. Right now we are offering our Pharma Franchise for Cold Medicine Range with extensive product portfolio. Cold is the most common viral infection everywhere. This viral infection can pass from one person to another person very quickly. And this chain of passing the cold viral infection keep on moving. Till someone does not take a proper medication. Therefore after founding this cold a big health issue and demand for medicine in the market. We come to provide you with the business of Pharma Franchise for Cold Medicine. There is a good demand for cold medicine as it is seasonal and most of people go through it. This creates a good scope for Cold Medicine Franchise business in pharmaceutical industry. So to know more regarding the opportunity and rewards. You are free to contact us at +91-9541112000, 9356647200. You can also reach to us via email medlockhealthcare@gmail.com. We are happy to help you always. We are in the pharma franchise business from more than 15 years. We have already fixed a respected spot in the market. With our most effective, reliable and affordable medicine ranges. Our offers and deals are transparent with all the associates that make them trust on us. All our products are manufactured under GMP and WHO certified manufacture units. We provide cold medicines at genuine and competitive prices. The company provides good incentives and bonus on meeting the annual targets. We ensure to deliver the products on time across almost all the states and cities of India. Our company backed you with promotional tools like visual aids, brochures, visiting cards, calendars, diaries, MR bags etc. We provide you good marketing support that helps you in building the good connections with the reputed names in the industry. Medlock Healthcare provides franchise on a monopoly basis which allows you to sell the products in your region without any pressure. As per a survey, the children up to the age of six years are mostly getting the effect from cold. Even healthy adult normal face this cold issue twice or thrice in a year. The cold virus can transfer from one person to another very easily. As we have mentioned above also that it can transfer from the eyes, nose, and mouth. Even can be pass from affected person to a healthy person by touching his objects. Even someone from sneezing the cold can be pass from one person to another. Therefore there is a huge demand of anti-cold medicine in the marketplace. To deal with this kind of medical problem. Medlock Healthcare is providing the best opportunity of Pharma Franchise for Cold Medicine. As our mission is to keep disease free. 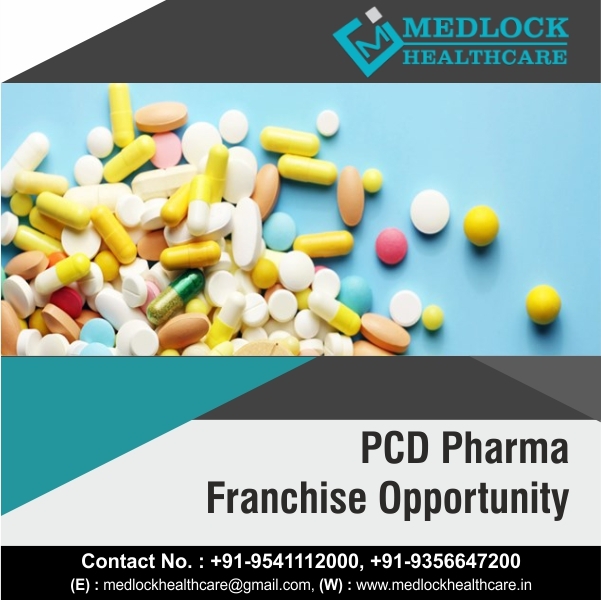 So if someone is looking for the PCD Pharma Franchise business, then the cold medicine pharma franchise is the best option to begin your medical business. Medlock Healthcare is one of the top Pharma Franchise companies in India that provide the impeccable drug range to its valued customers. We exercise moral behavior and follow all the strict quality constraints. The company fulfills international principles. We have the well-sophisticated organization and Hi-tech machinery that helps to manufacture the high-quality products. All our products are manufactured in the open wide space so that clients can come and check anytime. The medicines are packed with the leakage proof packaging in order to avoid any sort of infection and damage.